Elton John was hospitalized earlier this week after he came down with a rather nasty respiratory tract infection. The singer, who was forced to cancel a significant run of shows in Las Vegas, is apparently doing better after receiving first-rate treatment at Cedar-Sinai Hospital in LA. 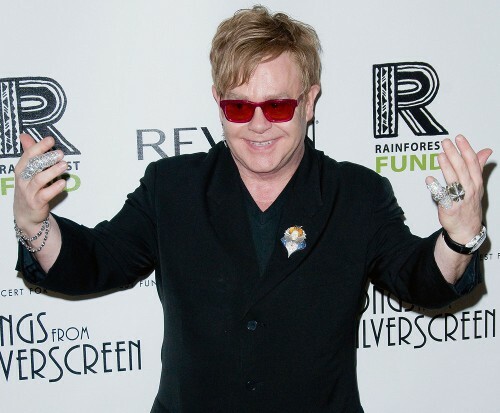 We’re glad to hear that Elton is getting better and will successfully recover from this lil’ Hollywood Hiccup. Elton is still set to tour in the UK next month, and he’s extremely excited for his newest album The Diving Board to be released this coming autumn.